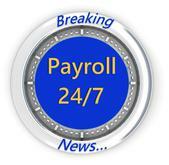 Need help with your payroll questions? 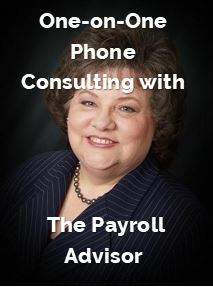 The Payroll Advisor is now offering one-on-one phone consulting for payroll professionals. This pre-paid subscription service allows you to consult with Vicki M. Lambert, CPP, The Payroll Advisor, in a one-on-one setting where she is available to answer all your payroll questions. In addition, you can request research for your toughest wage and hour or taxation questions. The cost is only $165 per hour, minimum one hour billing. Simply contact us through our contact page to set up the appointment at your convenience and at a time that Vicki is available, then pre-pay your fee through our website. Nothing can be easier.